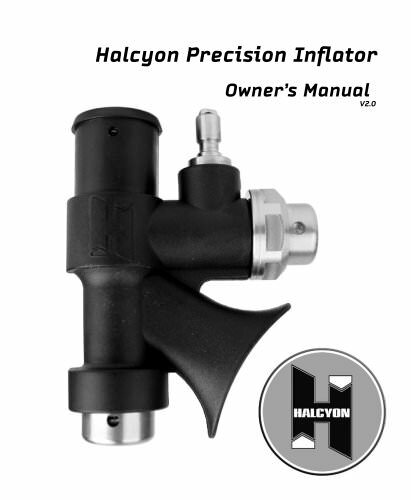 O-Ring Replacement and Lubrication Letters correspond to parts in Halcyon Precision Inflator O-ringKit (Part# 14.060.109) O-Ring Sizing Guide All O-rings should be replaced during servicing. O-rings can be removed using an O-ring pick. Be sure not to damage the O-ring during installation. All O-rings need to be lubricated with a NSF-61 approved silicone compound lubricant. All metal parts should be cleaned of dirt and surface rust before re-assembly. Any metal cleaning solution, such as authorized regulator cleaner, can be used.